British doomsters ORANGE GOBLIN will record their performance at next year's Roadburn Festival in Tilburg, Holland on Thursday, April 23, 2009 for a limited-edition, vinyl-only live album. 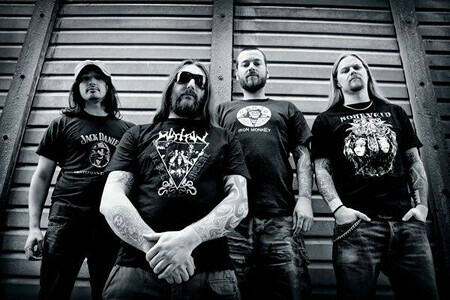 ORANGE GOBLIN recently inked a deal with Candlelight Records. The band's latest CD, "Healing through Fire", was released in May 2007 through Sanctuary Records. The album was initially released as a CD with a bonus DVD featuring live footage from the band's headline show at London's Mean Fiddler in December 2006.